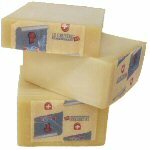 This Extra Aged Cheddar is aged for about two years. 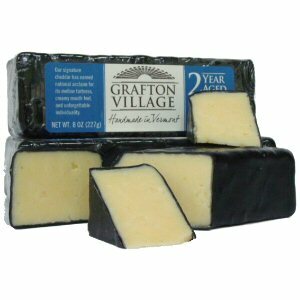 The Classic Reserve is the signature product of Grafton Village Cheese Company and is the proud recipient of 13 different cheese awards. 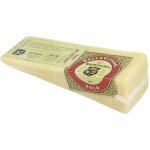 It is a raw cow's milk cheese that has depth and a complexity of flavor that is appreciated by many cheese lovers. 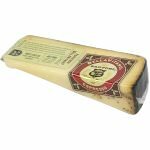 Aging gives the cheese a longer time to release its moisture, concentrating and developing its flavor. 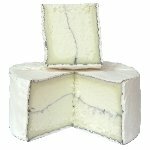 The extra-high butterfat milk of the Jersey cow has a creaminess that offsets the sharpness caused by the lactic acid in the cheese. 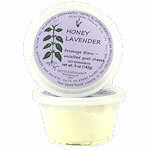 Ingredients: Unpasteurized milk, salt, cultures, enzymes.